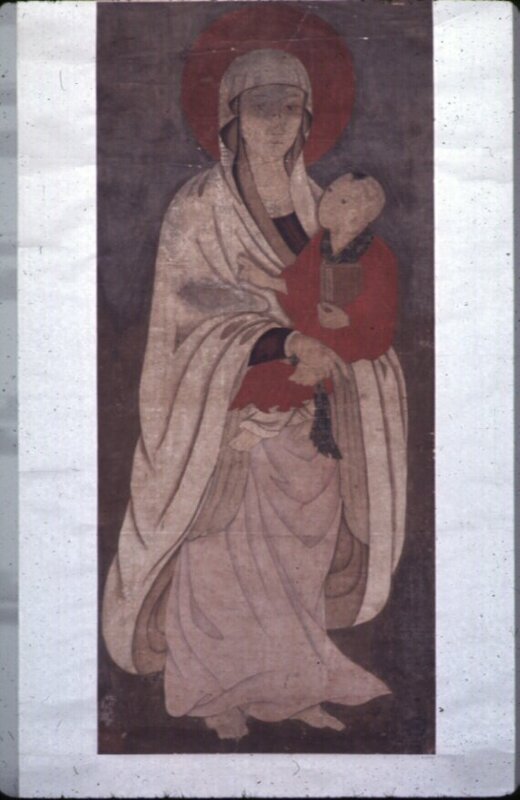 Description: painting, painting of Madonna and Child; He wears a chinese robe, his hair is tied in his arm is a Chinese book, probably a translation of the Bible.For the past 400 years, a small Christian minority has worshipped in China. 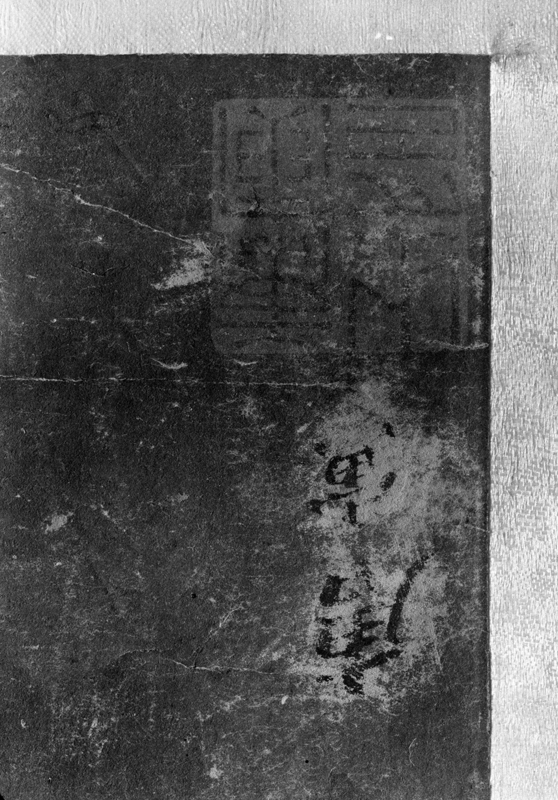 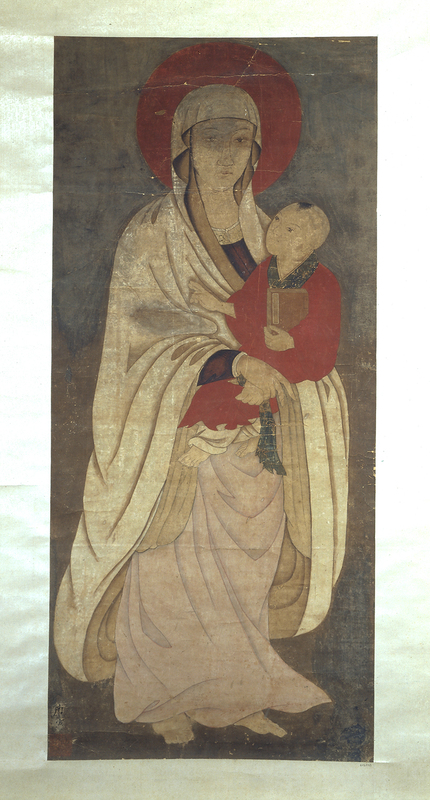 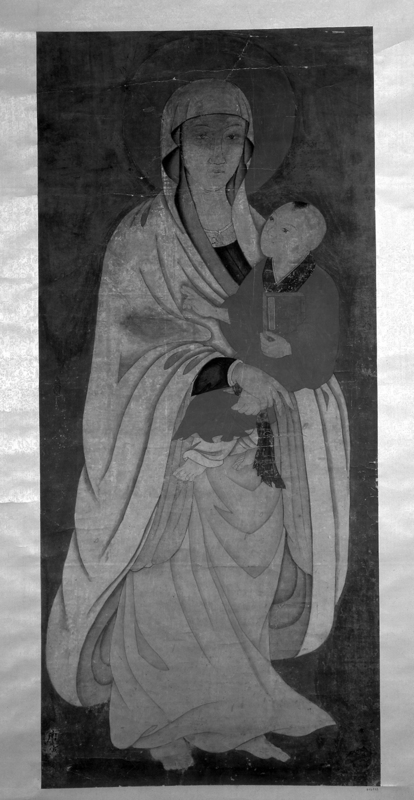 Child giving Guanyin, Tang Yin, 1470 - 1524, Ming Dynasty hanging scroll, paper and pigment. 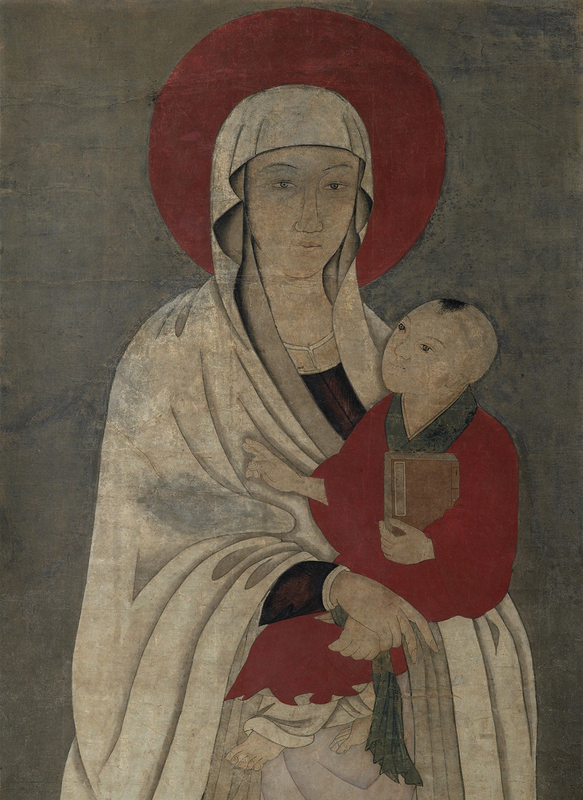 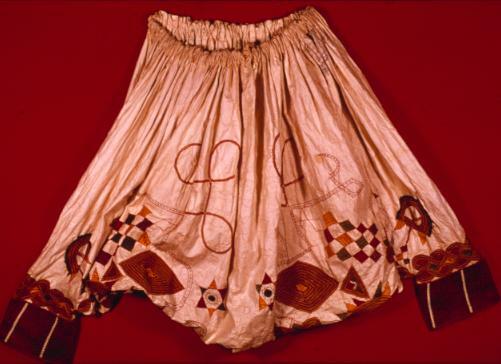 The work was modeled on an early medieval European icon Salvas Romani LING the safety of the Roman people. 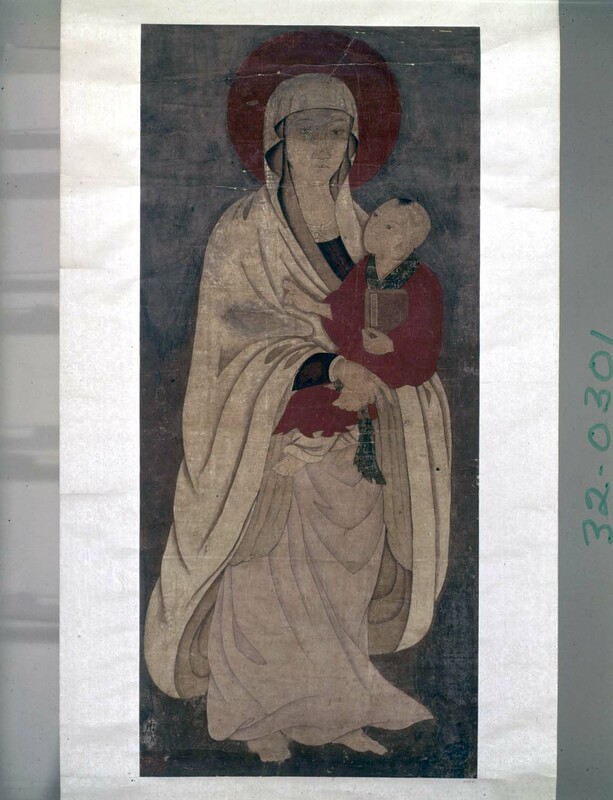 Unknown artist most likely saw a reproduction.